If you weren’t at OPN9, the first video to screen was a really cool demo reel from a production company I had never heard of, Sons of Winter. I found them on Facebook ( https://www.facebook.com/Sonsofwinterproductions ) and tracked down Logan Dellinger, co-owner, for a quick chat. Slavik: So who are you and what do you do? Logan: My names Logan Dellinger, and I work in film production. 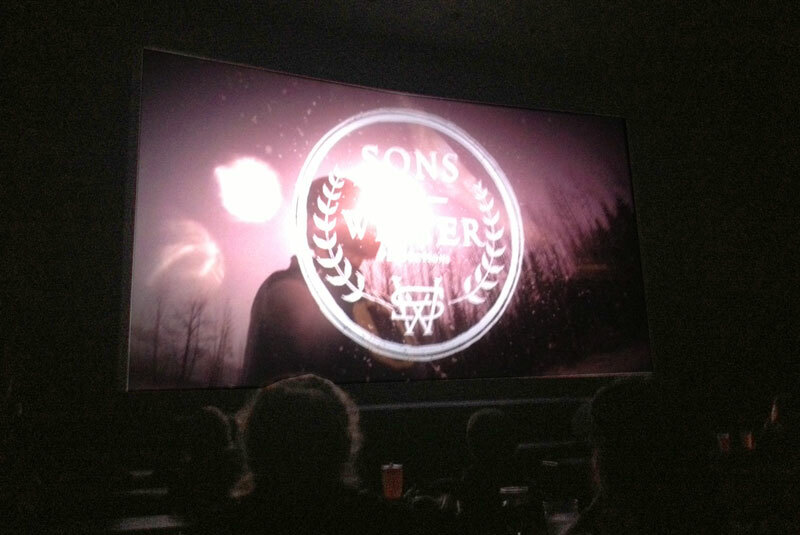 Slavik: At OPN9, the first film showed was the demo reel for your new production company, Sons of Winter. It was pretty stunning. What was the footage from? Logan: First of all I hope it was well received, we spent a long time workin it! All the footage you see in the promo are shots that we personally collected. We hauled our stuff in the mountains, got the timelapses, set up various shoots with our boxer, swimmers, snow-boarders etc. The LaVoy stuff is part of a live show in Anchorage that we filmed right before they left to the lower 48. Slavik: That’s awesome, it definitely looked like the product of a lot of hard work. I think the audience was pretty surprised by it – you think you know the film scene and the players, but then this demo reel comes out and it’s like, where did that come from? So what’s Sons of Winter and who are the sons? Logan: Hahaha never heard it put that way. I can tell you SOW is a small team. Right now its a co-ownership. other owner is Michael Heath. Him and I have been working film the last few years, and have gone completely under the radar. We’ve been planning for a long time, and didn’t want to rush anything and come out looking unprepared. We have a close set of friends that work with us, one of them being Raymond Chapman who’s our sound guy and also a writer. And we have a few more people that are definitely big players in the team, and out of privacy I wont say their names yet. Slavik: Is everybody out in the Mat-Su? Slavik: At this point you’ve got the eyes and ears of a lot of people, and the time to develop your team and approach. So, what kind of work does SOW want to be doing eventually? Slavik: Very exciting. I hope to see some more of your stuff at OPN and online. Last question: what do you think of that Mexican restaurant in downtown Palmer? Logan: Oh, I’ve been once. Loved it! Sons of Winter Productions Launch Trailer 2013 from Sons of Winter Productions on Vimeo.